Grab a quick power up boost and keep on with your own adventures with the Super Mario Bros. Question Block Mug. 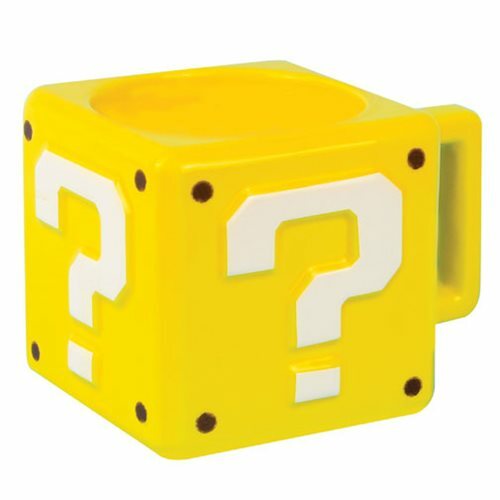 The mug is shaped like a block and is embossed with the question mark icon from the classic Nintendo video game. Makes a great gift for Super Mario Bros. fans! Hand wash only. Not dishwasher safe. Do not microwave.